Spring is finally here, and it’s time to think about Easter decoration ideas to bring the spirit of spring in your home! The time has come for you to bring the energy and sunshine into your home with these Easter decorating ideas. A thorough springtime setting is a perfect environment if you wish to entertain your whole family this Easter. In this way, they will not only feel the spring vibe inside, but they will also be sensing the new beginning in spring. To achieve the traditional Easter decor in your household, feel free to check out our guides here. We came up not only with themed tableware but also with homemade accessories and beautiful displays perfect for Springtime. Check out our easter home decoration ideas down below. Our experts believe that the best place to begin your new decoration ideas is with the table setting. It’s time to bring the aesthetic value of spring in mealtime. 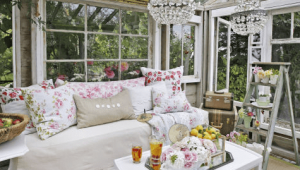 You can pick from vintage-style touches along with some floral and vintage designs glassware. To get impressive reactions and feedback from your guests, a charming display of spring flowers will do the magic. 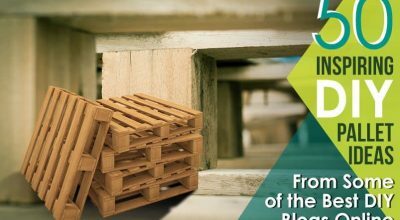 This will be an outstanding masterpiece in your home this Spring! 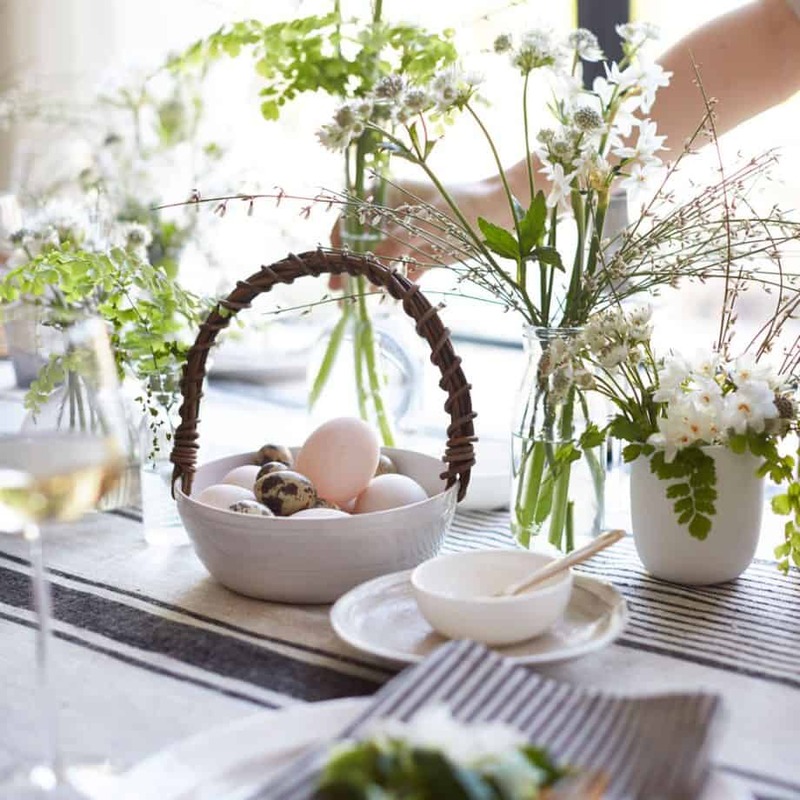 To make your home feel the fresh vibe of Eastertide, you can add some traditional Easter extras like painted eggs in bowls, teacups, just to name a few. 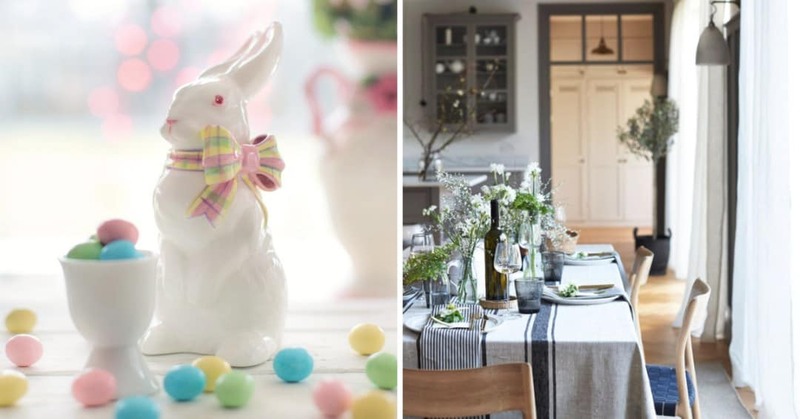 There are so many ways to achieve the Easter theme in your home, but these easter home decoration ideas will surely finish off your egg-stra exceptional Easter theme! Decorating with eggs can never be wrong as Easter cannot be completed with the presence of the easter eggs. This simple yet elegant table display from Ideal Home is ideal for those homeowners who wish to attain a subtle dining room centrepiece. 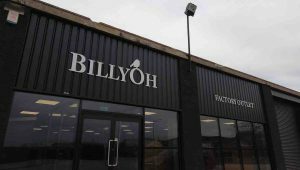 To achieve the modern country look, the Ideal Home suggested selecting a ceramic design. Then to highlight the shells’ delicate pattern and textures, make sure to layer them up with a mixture of different eggs. 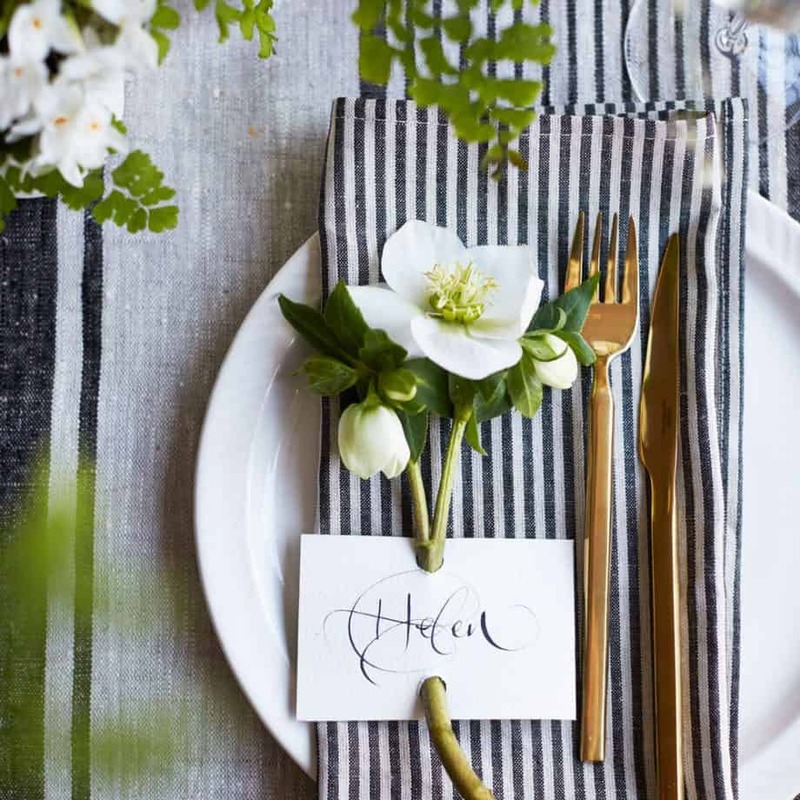 You will never run out of ideas when it comes to coming up with Easter dress-up ideas for your tabletop. This modern country look prepared by our source is indeed pure pared-black elegance! 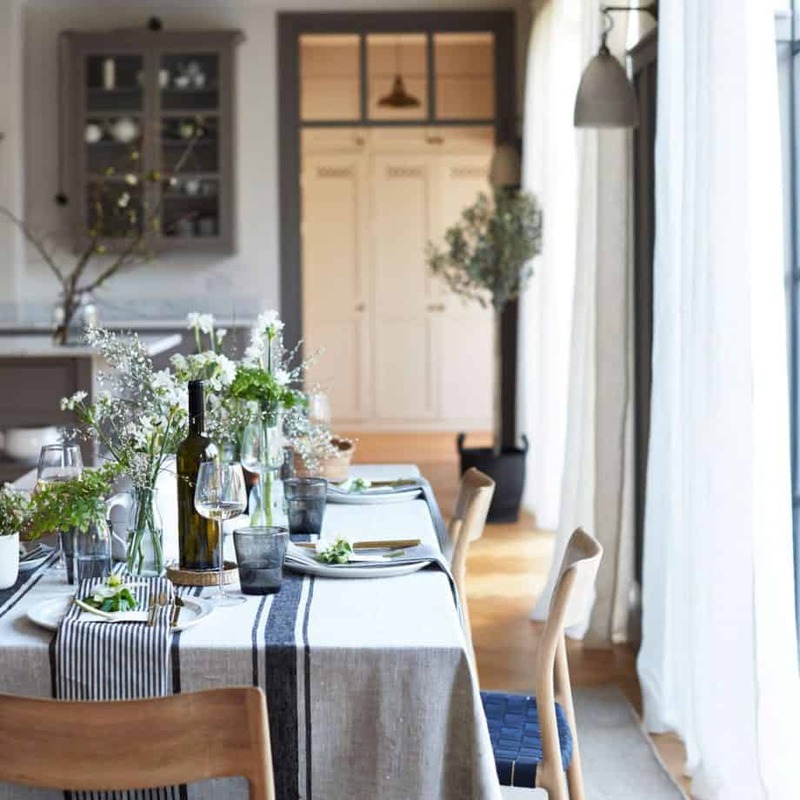 The experts suggested to dress your table up in a similar way without going overboard with lambs, bunnies and such designs. This will make your home environment feel like a garden-fresh. Of course, this tip has to be on our top five list! Adding an extra special touch on your table setting with personalised name cards can never go wrong. To bring an auxiliary dimension to your scheme, warm-toned cutlery will do the trick. This will provide an appealing glow for the new seasons. 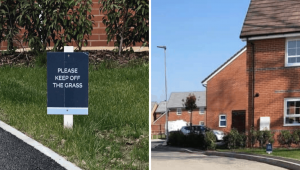 What’s the point of bringing the spirit of spring in without the presence of the flowers around your house? 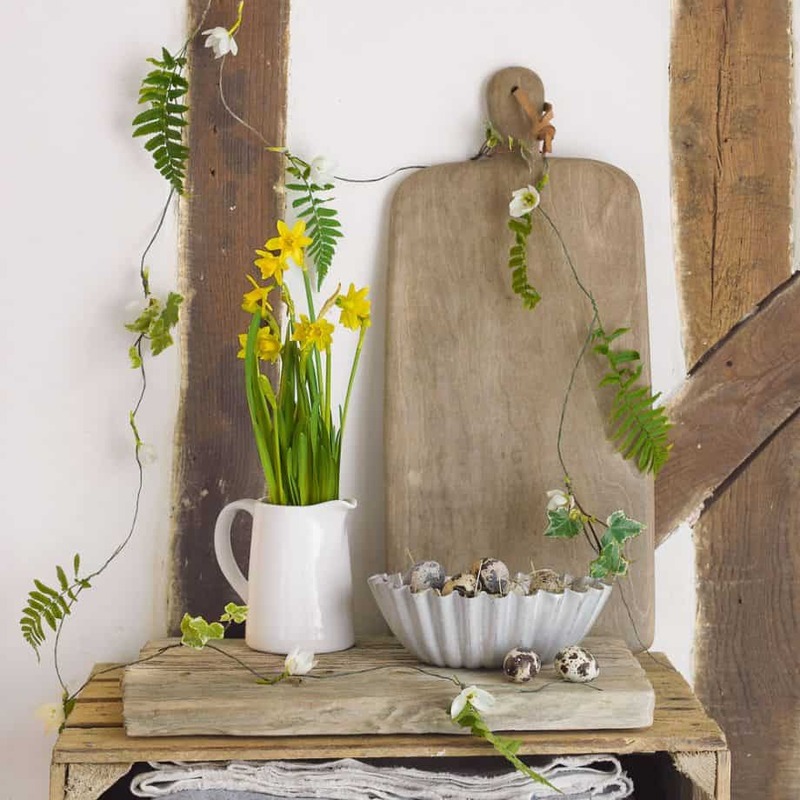 You can make your own airy garland just like the one in the picture from Ideal Home. After picking the seasonal flowers, leaves and ferns of your choice, you can hang it up as this will bring the spring vibe to your home. 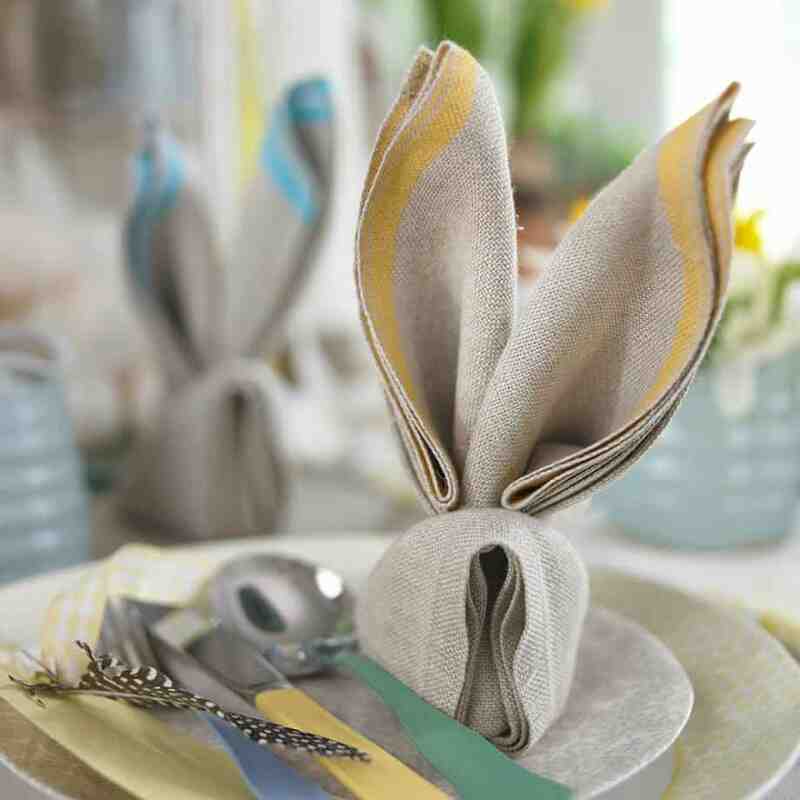 For our last easter home decoration tip, we decided to end it with a bunny-inspired napkin. You don’t have any idea on how to fold your own napkin bunnies? We’ve got you covered! You can watch the tutorial here courtesy of Better Homes and Gardens on YouTube. Napkin bunnies will add a fun touch to your Easter table setting. There you have it! 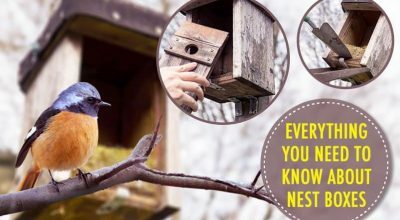 We hope these five easter decoration ideas guide will help you bring the spirit of spring in your home.